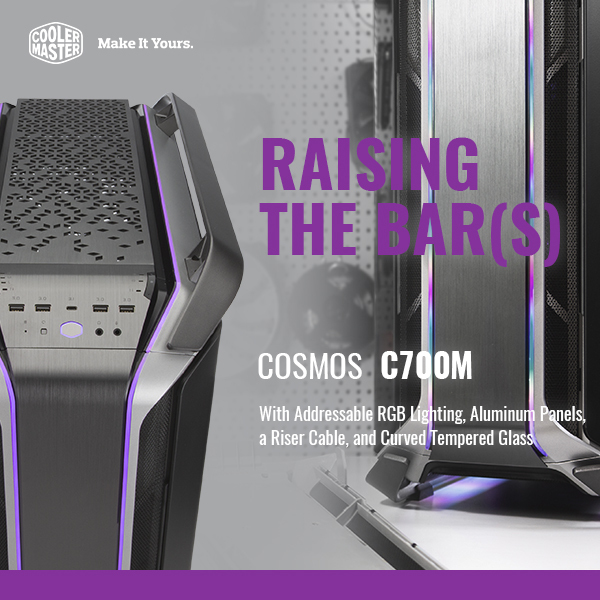 SINGAPORE – Cooler Master launches the COSMOS C700M, the latest addition to the COSMOS series. Known for pushing the limits of Cooler Master’s case technology, new tech, design elements, and features are fused together by a series that represents “Raising the Bar(s)”. The COSMOS C700M is in the highest “Maker” segment, standing at the technological peak of the COSMOS lineup. The COSMOS C700M is now available in Singapore, priced at SGD 599.